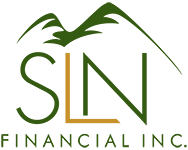 January 6, 2016 - 4 Easy Financial Resolutions for the New Year | SLN Financial, Inc.
Make a list of all your bank accounts, investment accounts, credit cards, insurance policies, retirement accounts, etc. Keep this in a safe place for future reference. Check your account statements for errors. Check the beneficiaries on your insurance policies, investment accounts, and retirement accounts and update any other details as necessary. Get a handle on how much money you spend each month by totaling up bills and statements. Take the hassle out of your finances by automating as many tasks as possible. One of the most common mistakes people make with their finances is forgetting due dates or forgetting to change default settings (such as with retirement contributions). Check the retirement deferral amounts on your paychecks and consider ramping them up this year. Automate important bills like insurance premiums, credit card payments, and rent or mortgage checks through your bank or credit union to make sure that you never again miss a payment. Though you’ll need to stay on top of your statements to make sure you’re not being overcharged, you have a bit more leeway to do this when you’re not under a payment deadline. If you have trouble meeting your savings goals, set up an automatic transfer to move money into your savings and investment accounts. By treating your monthly savings just like a bill, you’re more likely to meet your goals this year. If you don’t currently have 3-6 months of expenses set aside for emergencies, now is the time to start building those savings. Having an easily available source of cash for financial emergencies like home repairs, medical bills, job loss, and other unexpected events can make the difference between weathering the storm and derailing your financial life. If you do have some emergency cash set aside, review the balance against your current spending and needs to determine whether you need to add some more this year. If you have any questions about how to improve your finances this year, please give us a call. We look forward to serving you in 2016.